For many people, Easter has become a time for eggs and chocolate. If you like eggs and enjoy chocolate, that may be something to look forward to, but Christians claim that there’s more to it than that. At this point, you can’t help but think that they’re just excited about it because it’s THEIR religious holiday. But every religion has its holidays. If it’s not your religion, surely you can just enjoy the long weekend and move on, right? That’s the way I used to feel about Easter. I’ve come to believe that Easter should matter to everyone, regardless of their religious background. Let me explain why. When I say that Easter should matter to everyone, it’s different than the kind of discussion a Muslim might have with a Catholic, trying to convince each other of the benefits of Ramadan vs. Lent. The difference is that the significance of Easter doesn’t rest in the particulars of religious practice, but in a historical event so profound that if it’s true affects the destiny of every human that ever lived. 1. The claim to the historical event of Easter. Easter isn’t just a random religious celebration with a dubious historical connection. It celebrates the fact that a man who claimed to be the Son of God and Saviour of the world, rose from the dead after having been crucified and buried. The eyewitnesses took great pains to show that Jesus was in fact dead when He was taken down from the cross. And when they claimed He had risen from the dead, they didn’t just say that there had been a few random sightings. At one point, “he appeared to more than five hundred” at one time (1 Corinthians 15:3-6). This positions Jesus’ resurrection as more than a hallucination. He appeared to His followers for 40 days after his resurrection and “presented himself alive to them after his suffering by many proofs” (Acts 1:3). Whether you’re Christian or not, everyone ought to consider this claim to a remarkable historical event. 2. The evidence for the historical event of Easter. As you consider the claim to the historical event of Easter, the question needs to be asked whether it is true or not. The evidence for the truth of the resurrection is overwhelming. 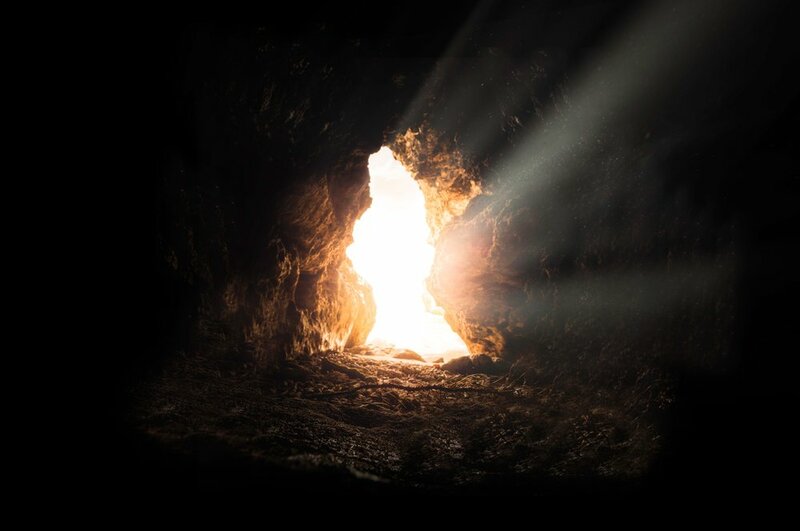 There are countless books, many of them written by former skeptics in various fields of academia, that give line after line of powerful evidence to demonstrate that Jesus’ bodily resurrection is the only thing that makes sense of the historical record. I found former White House special counsel Charles Colson’s testimony particularly compelling. Having been a part of Richard Nixon’s inner circle when the Watergate scandal broke, he saw the ten most powerful people in the United States buckle in a span of just two weeks. They each admitted their part in the lie despite the fact that they were only facing relatively light prison terms. Jesus’ disciples, by contrast, endured torture, imprisonment and death. Colson said, “Take it from one who was involved in conspiracy, who saw the frailty of man firsthand, there is no way the 11 apostles, who were with Jesus at the time of the resurrection, could ever have gone around for 40 years proclaiming Jesus' resurrection unless it were true” (See: Washington Post article). Confronted by these realities, Colson went on to put his faith in Jesus. 3. The significance of the historical event of Easter. So what if it is true? What does it matter that Jesus rose from the dead? It matters because it authenticates Jesus claim to hold power over life and death. He said, “I am the resurrection and the life. Whoever believes in me, though he die, yet shall he live” (John 11:25). Now we dive into religious territory, but we’re driven there by historical reality. If Jesus did in fact conquer the grave, He did so to show that through trust in Him, we can enter eternal life. As Jesus said, “Whoever believes in the Son has eternal life; whoever does not obey the Son shall not see life, but the wrath of God remains on him” (John 3:36). Easter is life and death for all of us. Easter may raise questions for you. Why not go looking for answers to those questions this weekend in a church that teaches the Bible. Grace Baptist in Richmond Hill has a Good Friday service from 10 to 11 am and Easter services at 9 and 11 am on Sunday. Join us and invite some along with you!